The Kaleidoscope Tour aka, The Color Run, also known as the Happiest 5k on the Planet, is a unique paint race that celebrates healthiness, happiness and individuality. Now the single largest event series in the United States, The Color Run has exploded since our debut event. We have more than tripled our growth, hosting more than 170 events in 30+ countries in 2013. 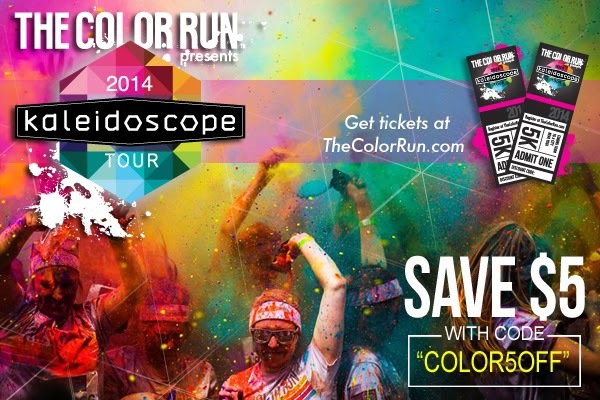 Announcing the 2014 Kaleidoscope Tour! We're hitting your cities like never before... Amazing new participant gear (t-shirt, headband, wrist band and sling bag) , Fresh music, and Color crazy race attractions. 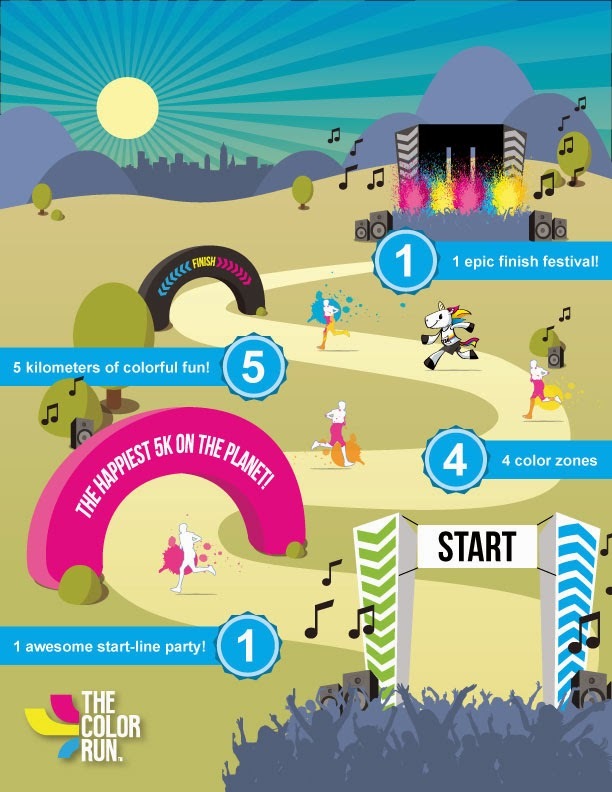 This is 5K Magic like only The Color Run can do. Whether or not you have participated in a 5K before, this is one of the most fun ones to participate in that I know of! I got to do The Color Run 5K with my husband a couple years ago and my cousins who live in AZ and friends that I have in Vegas have done this run before as well. It's all over the US so check and see what location is closest to you. You can run or walk and you get to go through 4 color zones until you get to the finish line where there are lots of people dancing and cheering , music and maybe even a banana or an orange. The energy of everyone participating really keeps you pumped up. Its a great event for kids of any age as well as adults! Salt Lake City friends, click here to get your ticket to participate solo, with a friend or with a team! Dont forget to use the code "COLOR5OFF" (must type it in, do not copy and paste) to get your discount. No worries if you do not live in Utah, this code works in other states as well! This code is not valid with any other sales or promotions. Let me know in a comment if you have participated in The Color Run before or if this is your first time. What state will you be running in? I hope you have a blast - I know I will!